In SUZE ORMAN’S MONEY CLASS, financial powerhouse Suze Orman delivers her expert take on what actions everyone needs to consider to secure a hopeful and sustainable financial future in light of the new economic reality. After the upheavals of the economic downturn that began in 2008, Orman believes it’s critical to rethink many of the traditional strategies we’ve been using to achieve our financial goals. 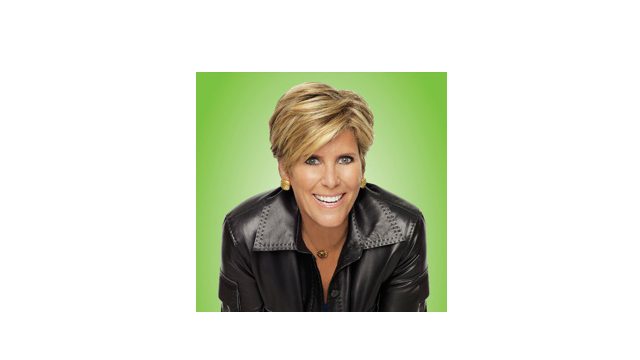 SUZE ORMAN’S MONEY CLASS premieres Tuesday, March 8, 2011, 7:00-9:00 p.m. ET (check local listings) on PBS. The premiere broadcast of SUZE ORMAN’S MONEY CLASS will be accompanied by the publication of Orman’s new book: The Money Class: Learn to Create Your New American Dream (Spiegel & Grau). SUZE ORMAN’S MONEY CLASS is part of special programming airing in March 2011 on PBS. PBS special programming invites viewers to experience the worlds of science, history, nature and public affairs; hear diverse viewpoints; and take front-row seats to world-class drama and performances. Viewer contributions are an important source of funding, making PBS programs possible. PBS and public television stations offer all Americans from every walk of life the opportunity to explore new ideas and new worlds through television and online content. Acclaimed personal finance expert Suze Orman was twice named one of the “Time 100,” Time magazine’s list of the world’s most influential people, and named by Forbes as one of the 100 most powerful women. She is a two-time National Emmy winner for her PBS specials, writer of eight consecutive New York Times bestsellers and seven-time Gracie Award winner. She is also a contributing editor to O, the Oprah Magazine.